Many companies today think about an internal communications app. They want to connect faster and more reliable with all of their employees. So that should be easy because it is just an app, right? Unfortunately that’s not the case for a corporate environment and you will run into questions that you might not be aware of today. We worked with customers worldwide to provide their employee app and talked to hundreds of communications professionals and here I would like to share our learnings about the top three challenges that you need to plan for. Lets have a short look one by one what’s behind these topics and how to best address them for your internal communications app project. Companies need to protect their sensitive information. But not everything is highly confidential – so there is always a tradeoff between security and reach. So how could an employee access an internal HR system or intranet? 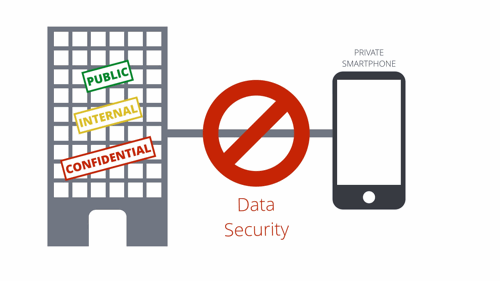 You could have a direct connection between a private device and the internal company network but that would be a high security risk for the corporate IT environment. That’s not secure and therefore not an option. This is fundamental and one of the main reasons why most intranets today do not have a mobile channel for all of their employees. So what is an alternative approach? The idea is to put an independent content management system in between the App and the protected company environment. It is a ready to go system and now the place for everything that is not highly confidential but relevant for many employees. It can be used as a standalone system or securely connect to existing internal sources (e.g. a SharePoint intranet) . This means that editors just publish once and the content is available on all channels. This is easy to set up within days and the integrations means less work for editors and – most important – it is secure. A great reach comes down to these key questions: First, what’s the best approach to deliver the content to the device and second, how will you be able to control user access? The two basic options to build a mobile channel are either Native apps that are downloaded from the app store or web apps that are used within the standard mobile browser. Native Apps clearly dominate time on mobile in our personal life. Therefore Everybody knows how to install and use an app. That is great for an easy user onboarding that does not require any training for employees. The second strong argument for native apps are push notifications. We see a three times higher audience engagement if a news message is pushed. 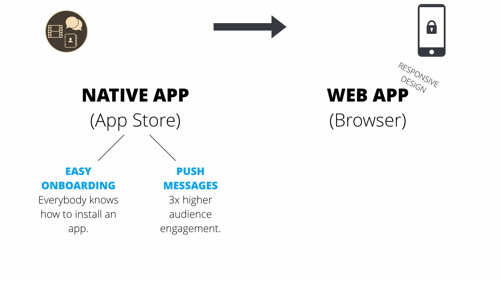 Therefore, native apps are the first choice for an internal communications channel. 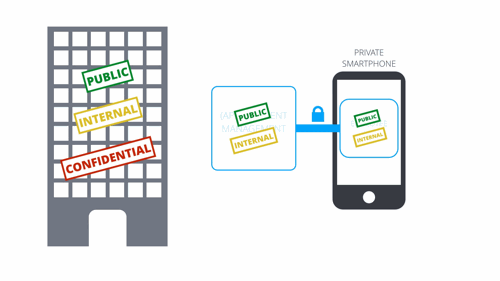 Once the app is on the smartphone – how can you control who opens the app and is able to login? This can be confusing because factory, contract or frontline workers often do not have a company email. So how do you bring them on? 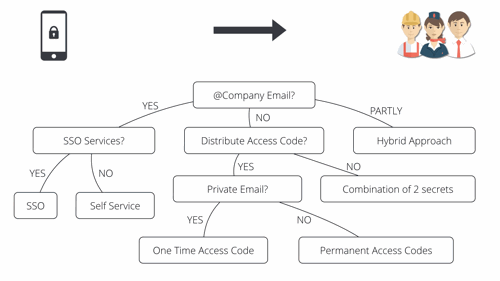 At Staffbase we therefore see and support a wide range of user onboarding approaches from Active Directory, Single Sign on or even the distribution of one-time access codes. This is highly effective to really get everyone on board and keep ongoing user maintenance efforts down. Native apps and a broad support for all types of users will boost great reach through an easy onboarding for all employees and finally internal communication professionals can look forward to push notifying as a true game changer for internal communications. We now talked about security and reach, but here comes possibly the hardest part: how do you engage your users and make them come back? Engagement fully depends on the right use cases. A use case is the answer to the question “What exactly can I do with the app?” To start off – try not to think company centric. 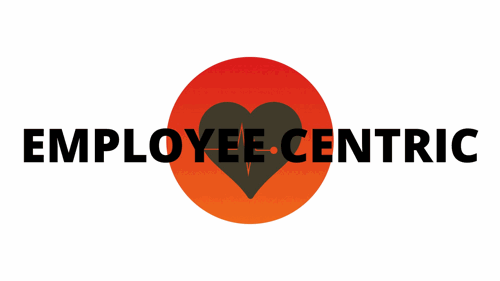 Think employee centric. 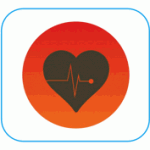 First, add topics that employees care about like an interactive channel for events or quick pulse surveys. Second, think local. 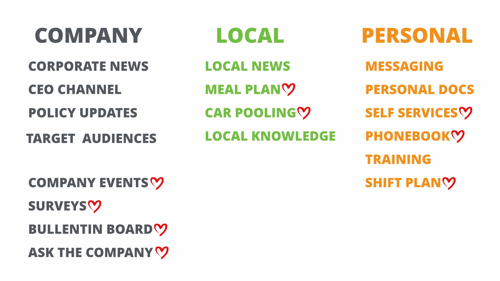 Users logged in so we know them and can provide exactly the local content that’s usually a lot more relevant for them. And finally, think personal – there are many ways to help employees being more effective at their job. Sounds great, right? However, this approach comes with some key requirements to the app platform. It needs to be able to support a broad range of use cases with a personalized and easy user experience. Local part time editors should be able to easily add content to their specific channels and there should be a broad support of integrations to existing internal data sources. 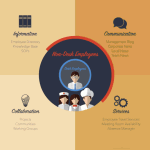 Now that’s the formula for engagement with a truly employee centric approach. You get a channel that delivers real business value and puts employees on the center of your organization.